I spent some time with some teen leadership workshop kids at a 150 year old farm house today. The owner is a very crafty lady. I got to see wonderful quilts, paintings, crochet and embroidery work; and the coolest barbed wire horse. It was about 15 feet tall and just amazing. 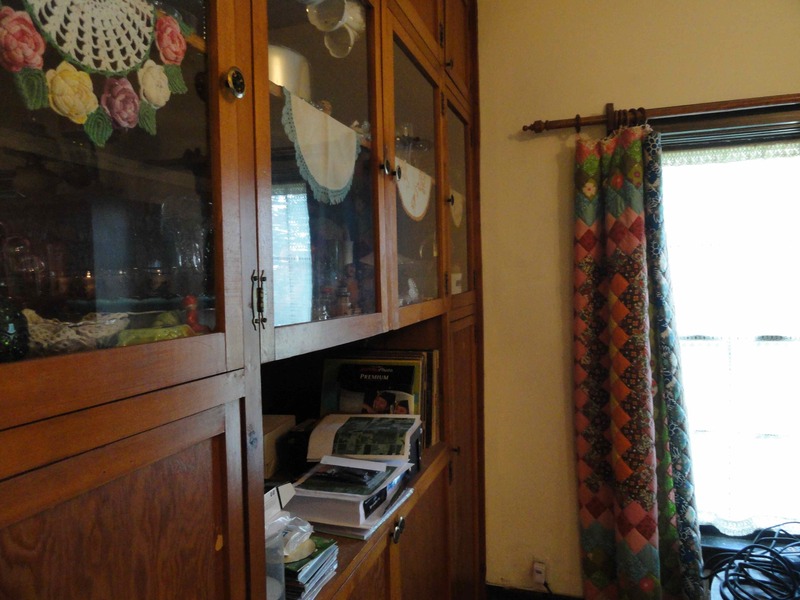 All of the curtains were quilts, both newly made and some as old as 1928. 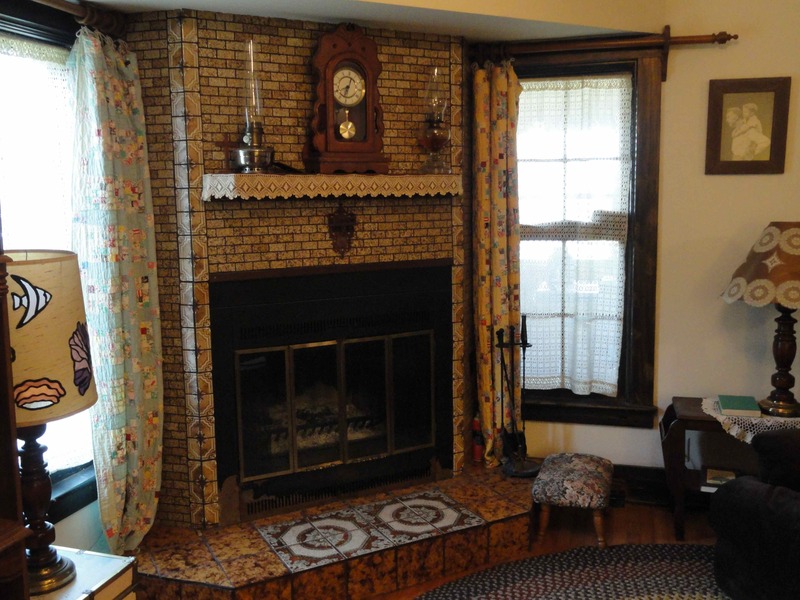 I loved the crochet border on the mantle. It was made by her grandmother in the 1930’s. The lighting just does not do this sculpture justice! It was getting late and a storm was on the way, so it was difficult to get a good shot. Have a great weekend & thanks for stopping by! Quilts as curtains is actually kind of genius! I’m going to file that away in my brain. 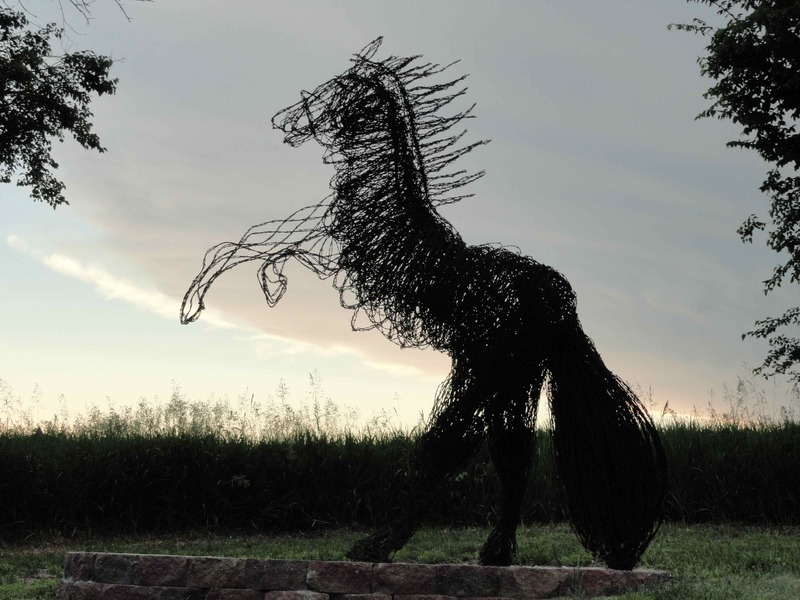 That barbed wire horse is pretty cool, too. I thought the same thing about the quilts! I may put new curtains in the family room sooner rather than later.